They may currently be playing second fiddle in Spain to their hated rivals Barcelona, but there's no denying the incredible history of Real Madrid. Nearly sixty years ago this week, Madrid went on an incredible 121-match unbeaten league run at home that will likely never be beaten. 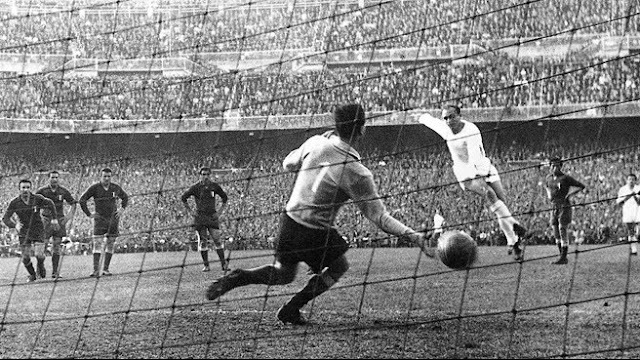 On 17 February 1957, Real Madrid beat Deportivo de La Coruña 1-0, with a goal from Enrico Mateos to start their unparalleled run of home dominance. 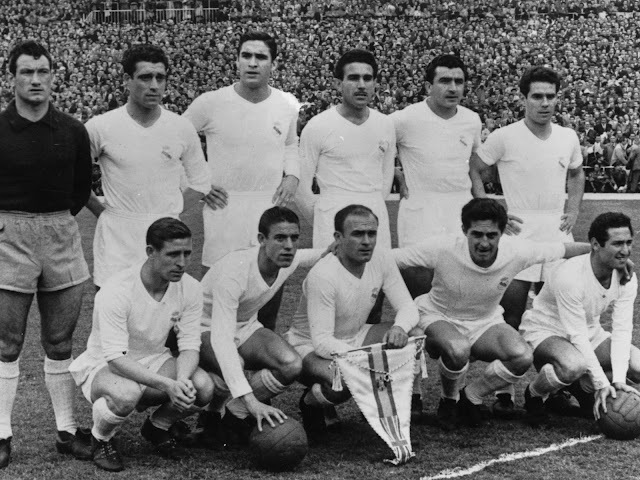 Madrid wouldn't suffer defeat at home again until 7 March 1965, when they fell to local rivals Atletico 1-0. This run of dominance at the Santiago Bernabéu Stadium saw the club capture seven La Liga titles in eight years. Of those 121-matches, they won an astounding 113 of them and drew only 8. It'll take one heck of a run for any club in one of the world's bigger leagues to come anywhere near matching that. It might even be beyond this current Barcelona side.